In the first of my epic gluten free barbecue posts last week, I tried to come up with some new ideas for dining al fresco – but this time it’s all about traditional barbecue grub. I mean proper, messy food, barbecue sauce dripping from sizzling burgers in crispy baguettes is where it’s at. This heatwave has been amazing and it’s meant eating barbecue pretty much every night. In fact, I don’t think mine has ever seen so much action, it’s going to burn out soon! One of the worst things about being a coeliac is having to eat different food to everyone else. 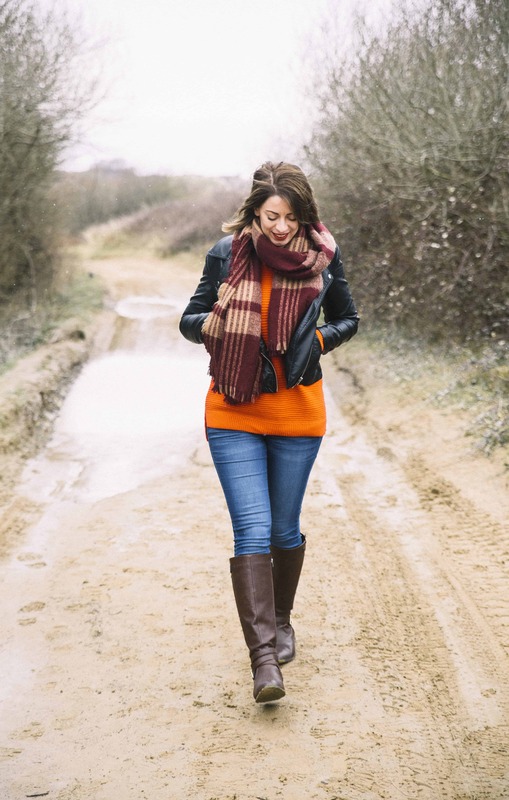 But now, even though you may have to search a bit for it, there’s plenty on offer to make you feel ‘normal’. Normally when I go for gluten free sausages, I head straight for The Black Farmer’s variety.But this time, I came across these ‘Heck’ sausages (handily marked gluten free on the front) and decided it had to be done. Boasting an impressive ‘97% pork’ slogan, these looked really meaty and a decent size. And, I have to say they live up to their promise of doing ‘damn good sausages’. 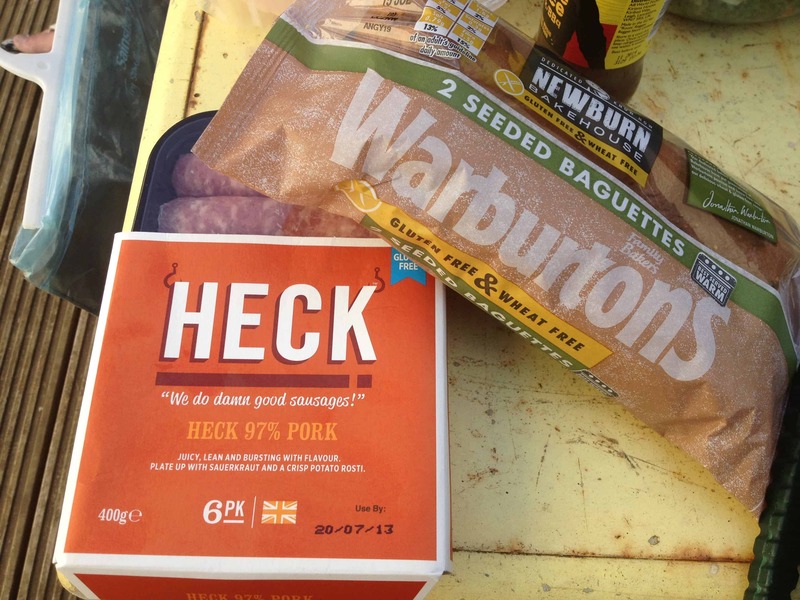 I thought these tasted delicious and had a lovely texture – they’re more of a gourmet type brand and put some of the other sausages on the barbecue to shame! I also enjoyed these in a new Newburn Bakehouse seeded baguette. These baguettes look brilliant – just like ‘real’ ones! I have to say, I was put off slightly by the glaze which made them look almost cake-like. However, after popping them in the oven for five minutes they had a great texture and were soft on the inside and crunchy on the outside. It was actually really impressive to see bread that looked so normal, and coupled with my Heck sausages it was a filling choice! 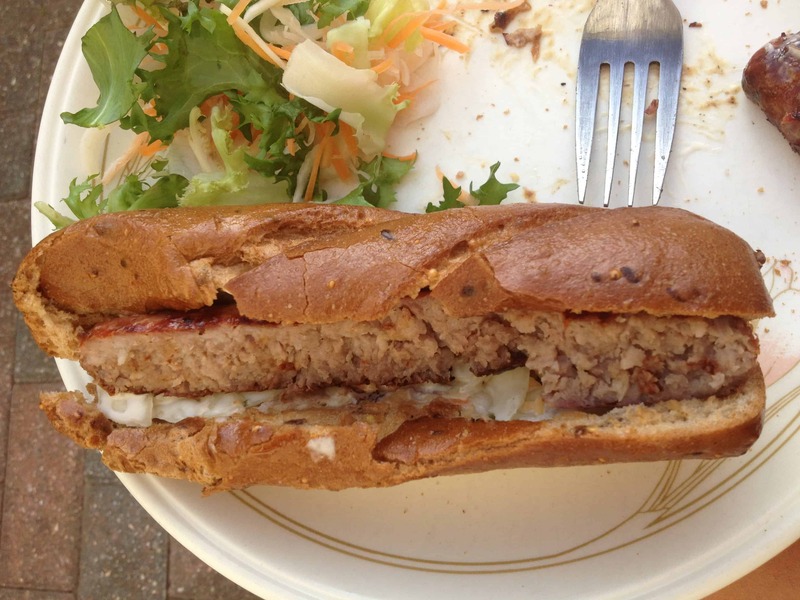 While gluten free sausages are often relatively easy to find, locating a gluten free burger seems to be near impossible on the supermarket shelves. It’s always disappointing to read the ingredients of every burger packet on the shelf, only to realise there is nothing you can eat! That was, until today I discovered these Taste the Difference venison burgers in Sainsbury’s! 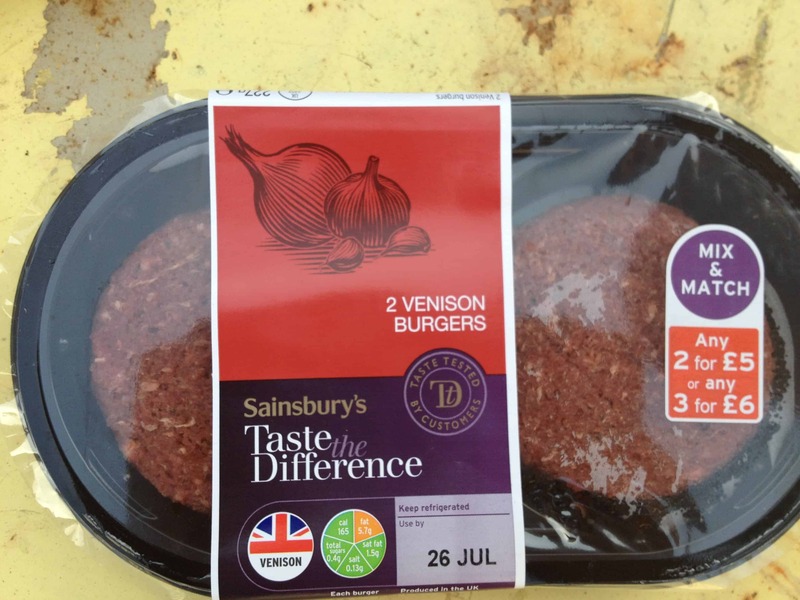 Normally, I relent and make my own burgers, but I have always wanted to try venison and this seemed to good to be true, so I preempted my taste buds and took advantage of the two for a fiver deal! They’re a slightly richer-looking colour than beef burgers, and when I opened the pack I got a waft of garlic and just knew this was going to be good! Slathered in BBQ sauce and with a bit of lettuce and watercress, these burgers were simply…. amazing! I loved the smokey flavour of the venison and think I could easily eat this over beef any day. 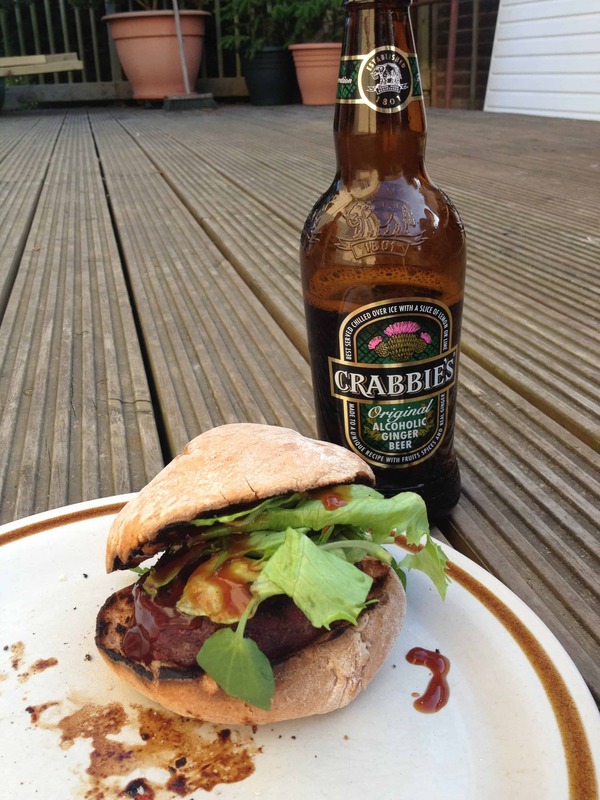 It was delicious washed down with a nice Crabbies, which brings me to my next point…. 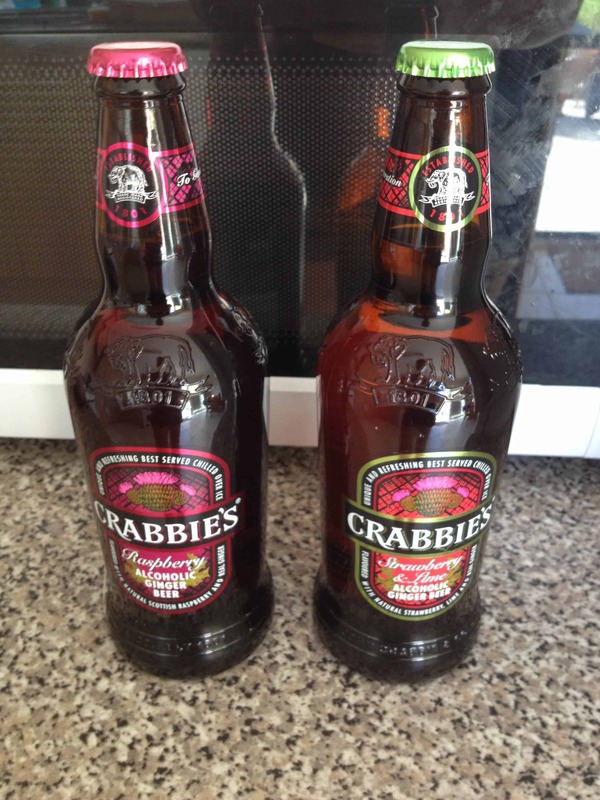 Crabbies is possibly the best invention in the history of alcoholic drinks. Three words: Alcoholic. Ginger. Beer. Marked as gluten free, I’ve been enjoying this drink for years and was curious to see they had brought out two new flavours – a raspberry one and a strawberry and lime one. I decided to give them both a try and even though I easily prefer the original any day, these were an interesting change. I wasn’t so keen on the strawberry one, I felt it was almost a bit too much like drinking squash, but found the raspberry one quite refreshing. They’re great for a hot summer’s evening, but I would definitely recommend the original, ginger one. And the best thing? They’re all marked gluten free, yippee!! 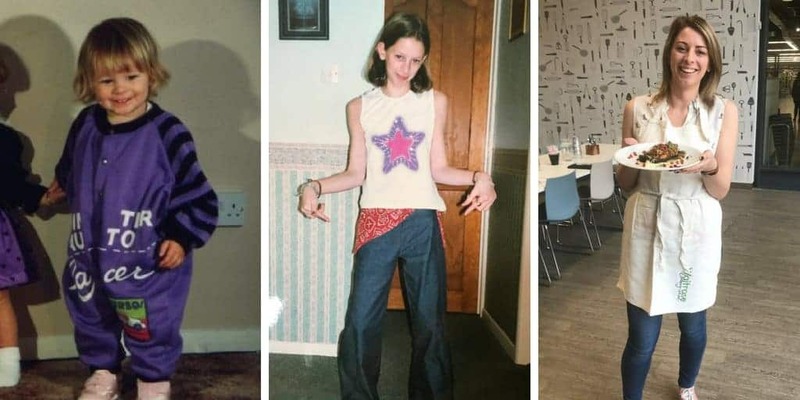 So that’s the end of my two-part barbecue epic, but what do you think? Do you prefer to try new things or would you rather stick with the traditional sausages and burgers?